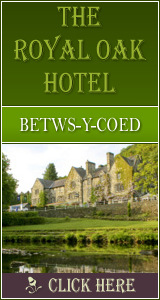 Bodedern: Accommodation, Attractions, Activities, Going Out, Shopping, Things to Do, Places of Interest, Outdoors, Bodedern Holidays, Bodedern Area Location, North Wales. One mile east, off the B5109, is the Presaddfed Neolithic Burial Chamber. Just outside the village is the Presaddfed Estate, home of the Anglesey Shooting School, which offers clay pigeon and driven shooting. Bodedern also has its week-long festival, starting on the first Saturday in May, which incorporates 'Gŵyl Mabsant' (Wakes Festival) to commemorate St Edern. For a map of Bodedern, see the link below.